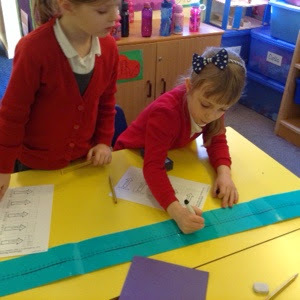 We continued using numberlines to support our subtraction work on Friday. 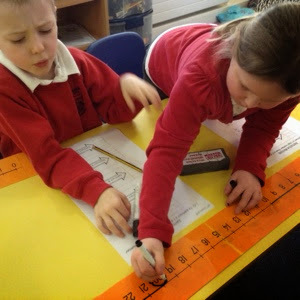 It is really important to check the amount of jumps backwards which is why our whiteboard pens came in handy. 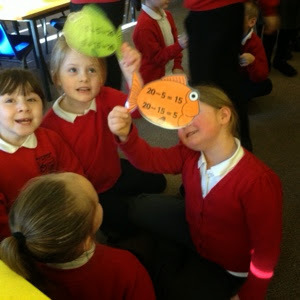 We had fun this week moving around in Maths! 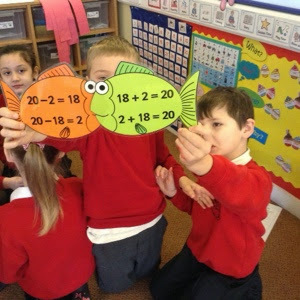 Each pair had two number sentences on their fish and had to find the pair that had the inverse, so if one fish had addition they needed to find subtraction sums. 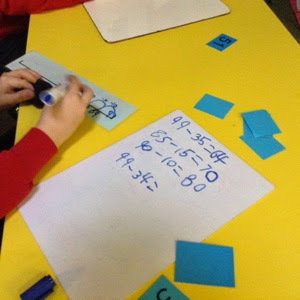 We are beginning to understand that subtraction is the inverse of addition, and will be exploring this more in Numeracy next week. 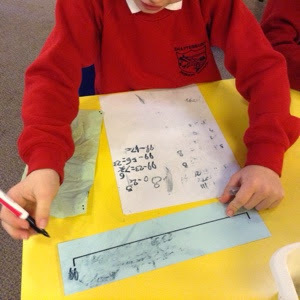 We have been talking about how using a numberline when answering a take away problem can really help us. 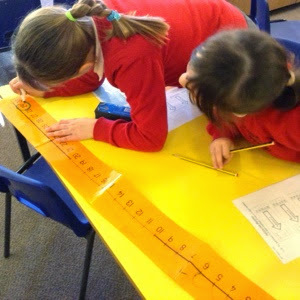 Mrs Tatman's group explored using a blank numberline and filling in the numerals they we jumped backwards. 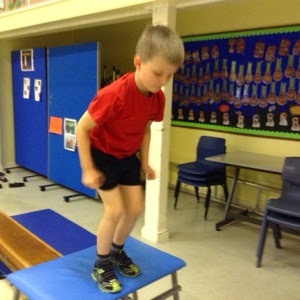 Sometimes the jumps were in tens and then ones. 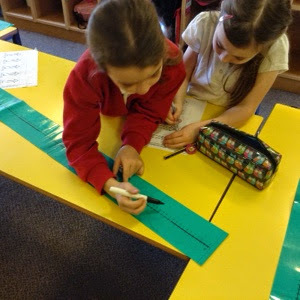 Some of us worked together to begin making our own numberlines, cutting and sorting numbers to 30 into the right place. 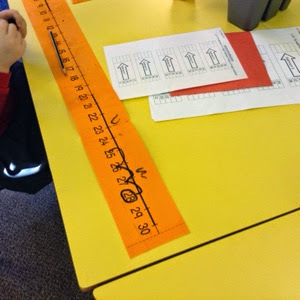 We are going to finish these tomorrow by adding numbers in strips of 10! 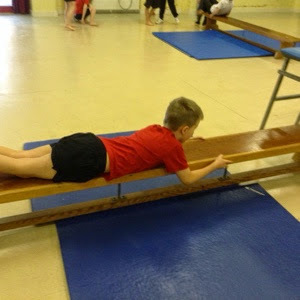 It was Walnut Class' turn to use the benches, mats and vaults today! 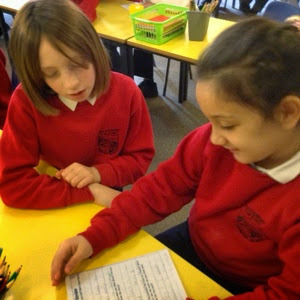 It was great to see a real improvement in everyone's confidence and even those who were a bit unsure were helped by their friends. 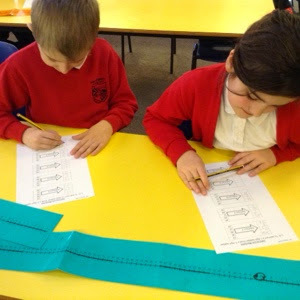 Next week we are hoping to get out the large apparatus....... photos to follow! 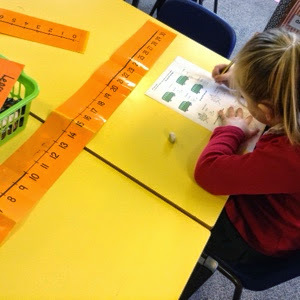 Have fun enjoying these games to help you learn your times tables. 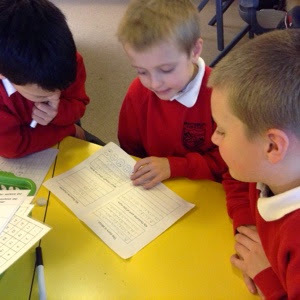 Let us know which is your favourite game to play. 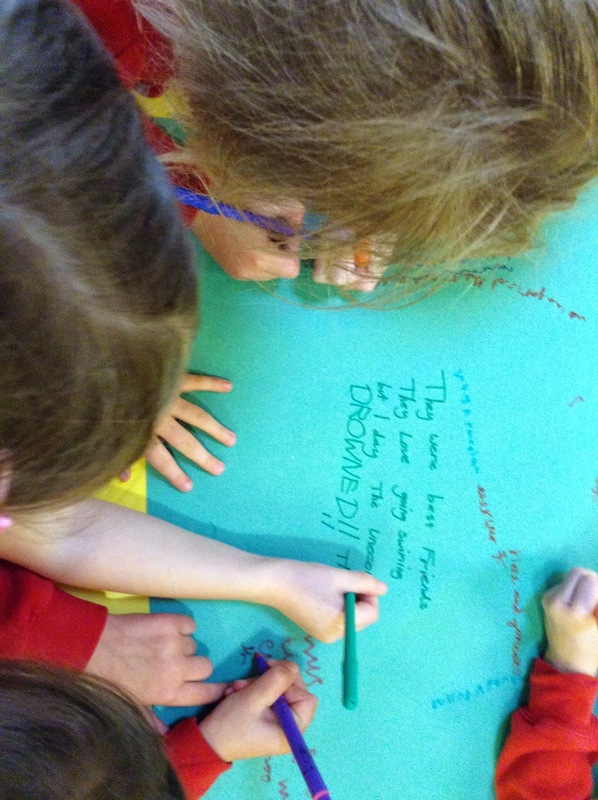 If you find another one you really enjoy let us know and we will add it to this list. 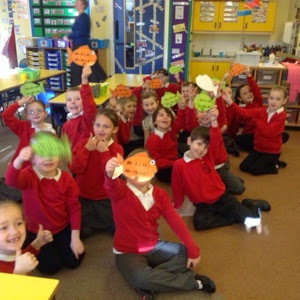 We can't wait to see how good you have got by next week! 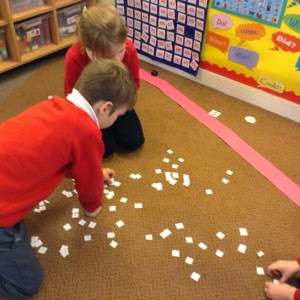 We will keep adding more games as we find them so keep checking on this list. 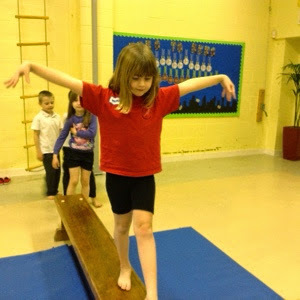 Year 2 are gradually building up their gymnastics skills this term using different apparatus. 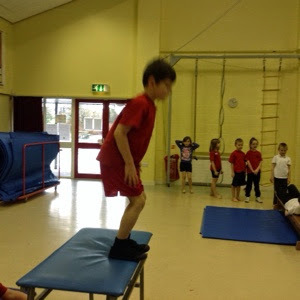 We have worked on the mats, benches and now are jumping on and off the different vaults. 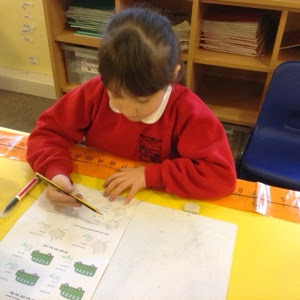 We have focussed on 4 making tall, narrow, small and wide shapes with our bodies as we make our sequences. 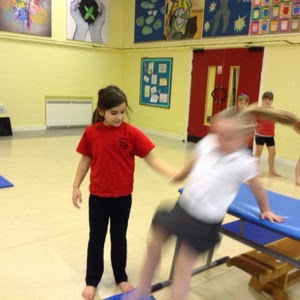 We are very excited to get onto the fully apparatus over the next 2 weeks. 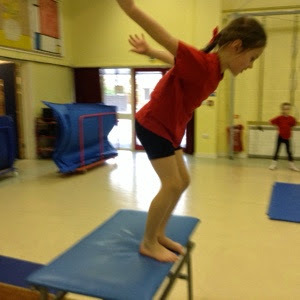 Mrs Peterson has been really impressed with how the children have focussed and listened to instructions as each new apparatus has been introduced - well done! 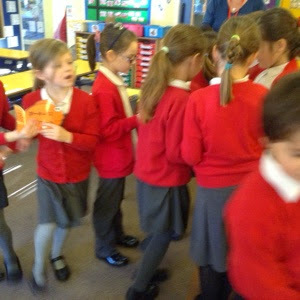 Can you see the different shapes each person is trying to make in the photographs below? 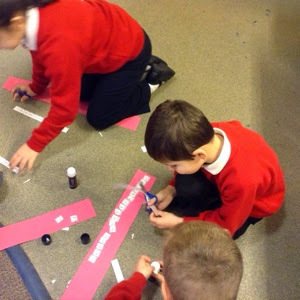 How many words can you make using the or sounds? 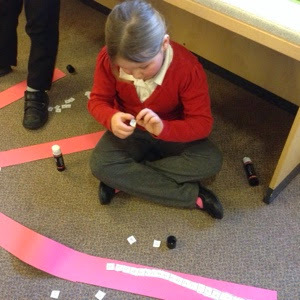 Don't forget to add the sound buttons! 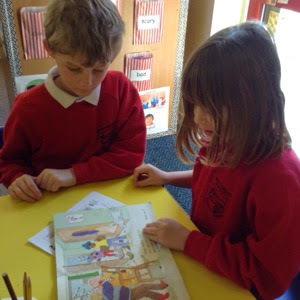 This week, Year 2 will be writing their own stories inspired by Julia Donaldson. 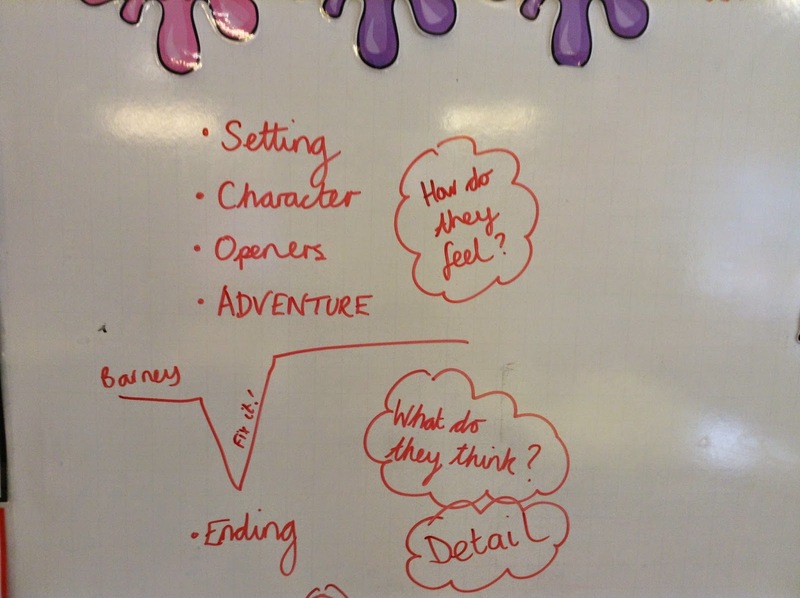 Today we looked at what makes a fab story. 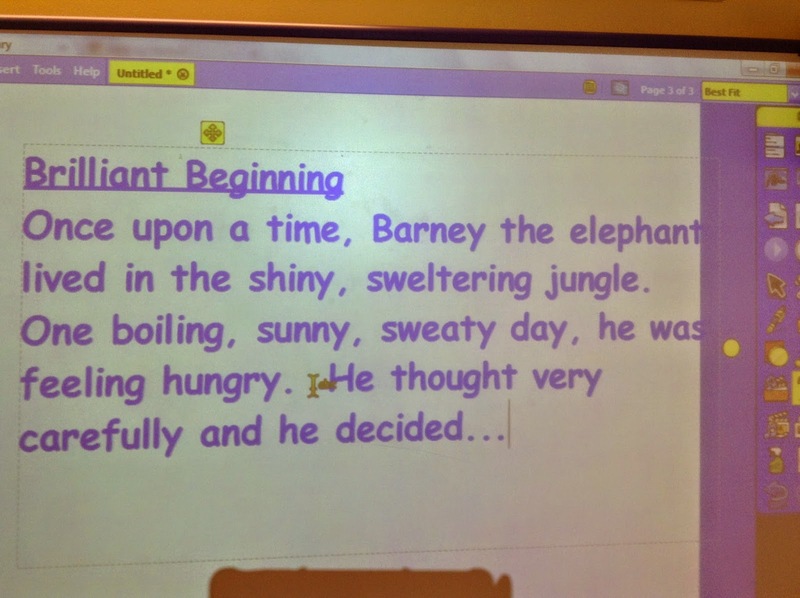 First of all, we thought about a beginning of a story altogether. 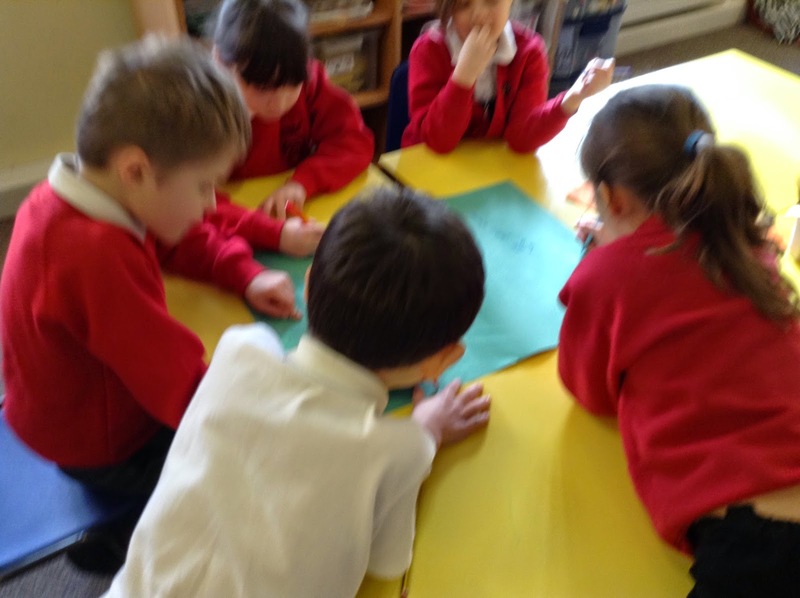 Then we worked in groups to think about exciting events that could happen next! 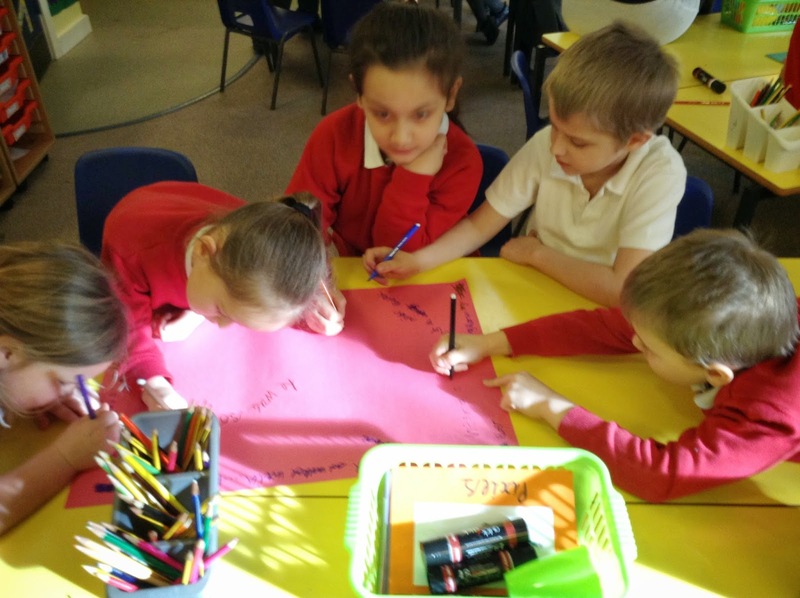 We put all of the events together to make one super story and then we decided upon an excellent ending as a class. 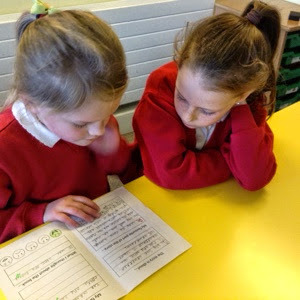 We have worked really hard on our Julia Donaldson book reviews this week. 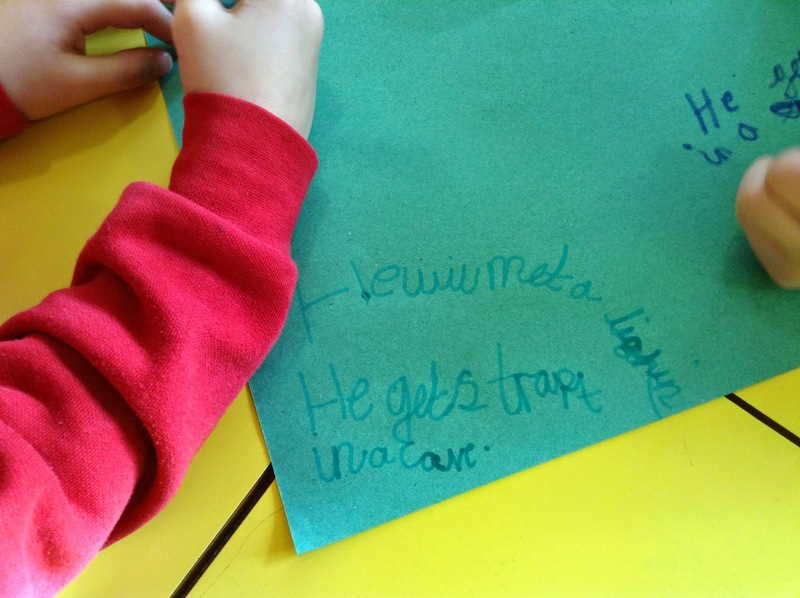 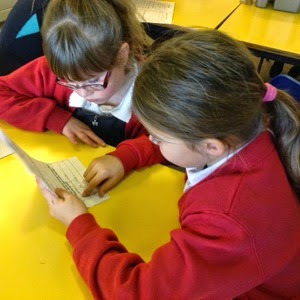 Year 3 wrote them last year, so today we had the chance to share our work with them. 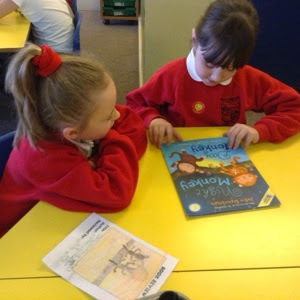 We also had the chance to share our favourite Julia Donaldson books, which was lovely! 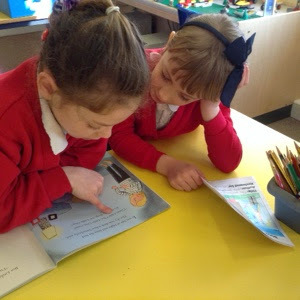 Some of us even had time to read another choice of book. 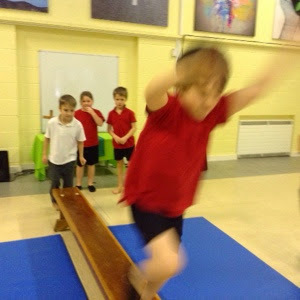 It was super fun! 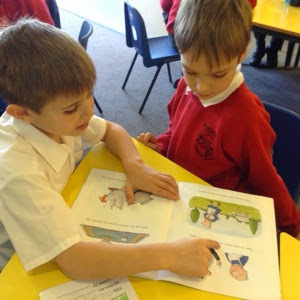 Thank you Mrs Peacock and Mrs Barge for lending us your classes for a while ~ we really enjoyed it! 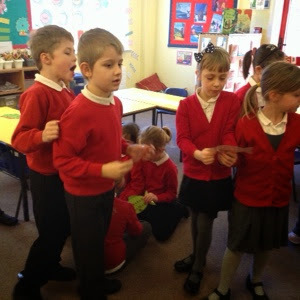 Acting out Room on the Broom!